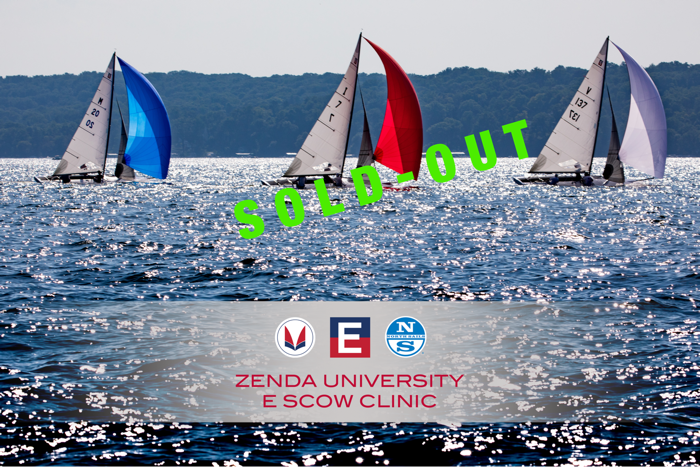 To help sailors improve and prepare for the season ahead, sign up for the new ZENDA UNIVERSITY E SCOW CLINIC presented by the National Class E Scow Association, Melges, and North Sails Zenda, on the day before the Lake Geneva Spring Regatta, May 17th. Make it a family weekend! Geneva Lake Sailing School will host the X BOAT CLINIC May 18-19. As the clinic coincides with the E Scow regatta, this will be a great opportunity for E Scow sailors with children sailing X Boats.